Meet Three Ms. Sr. Contestants! Home » Community Events » Meet Three Ms. Sr. Contestants! 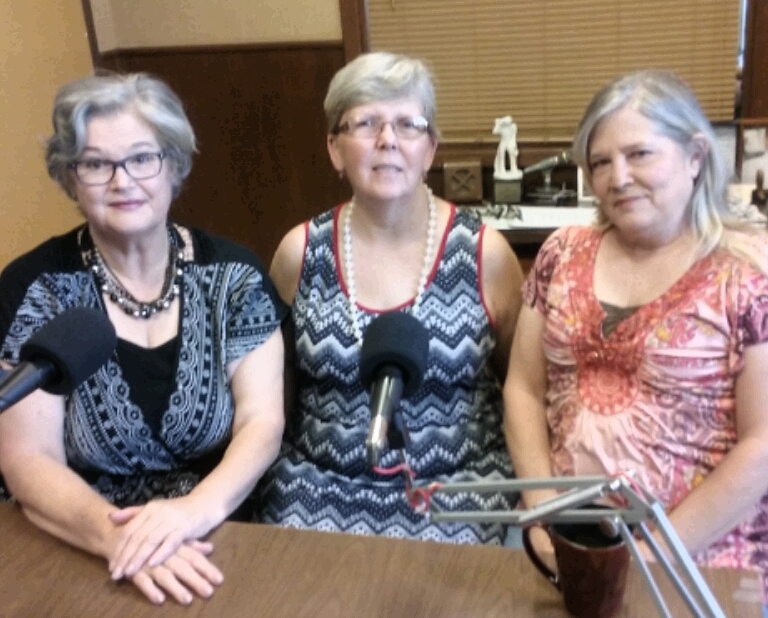 With the 8th annual Ms. Hopkins County Senior Classic Pageant only days away, we invited the contestants for a chat on the KSST Morning Show. Tuesday’s trio were Jan Gray, Pam George and Valerie Ross. Jan is rather new to town, having retired and moved to Sulphur Springs in October 2016. Pam George has lived in Hopkins County for about 30 years, is semi-retired and decided to enter the pageant because she supports the work done for retired persons by Karon Weatherman, Director of the Seniors Center. Valerie Ross came to Sulphur Springs about four years ago when she retired, and will be making her second bid for the title of Ms. Hopkins County Senior. Each of the ladies will compete in three categories…evening wear, talent and philosophy of life. Current Ms. Sr. Lavonne Elam and former pageant winners will also be there to present talent. A total of twelve contestants are in the 2017 local pageant, with winners advancing to the Ms. Texas Senior Classic Pageant to be held this fall in the Metroplex. The public is invited to attend, free of charge, on Saturday June 10 at 6 pm in the Family Life Center of League Street Church of Christ in Sulphur Springs, Texas. You can listen to KSST and watch Channel 18 TV at 8:15 am on Wednesday and Thursday June 7 and 8 to meet more of the contestants on the Morning Show.